BUFFALO, N.Y. (WKBW) — It's a done deal! Matt Walfrand, a director at WKBW, made a bet with photographer Rob Neves . If the Sabres finished the season with more points, Rob would shave his beard. If the Red Wings finished with more points, Matt would shave his head. Fortunately for Matt and his fiancé, he won the bet. Rob did not win the bet. We had a crew come into the newsroom for this special occasion and help settle the bet once and for all. 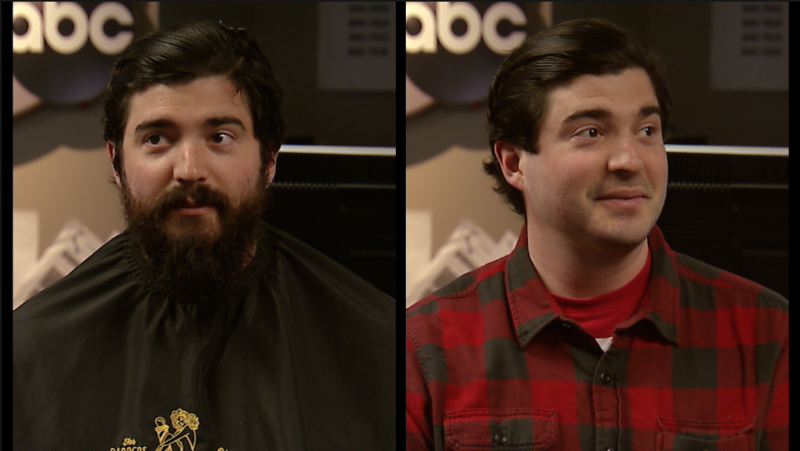 Thank you to Andrews Barber Parlor for shaving Rob's beard. You can watch the Facebook video below.